The site is in a sensitive area, as it is semi rural and highly visible from Chorley town centre, north towards the Pennines. It is close to residential properties along Blackburn Road and the ‘green field’ nature meant that ecological matters were to the fore in discussions with the local authority. It extends to over 22 acres and is conveniently close to a junction off the M61 motorway. A phased, mixed use scheme was considered, including industrial and office development, with housing a possibility near to the other residential properties to the north of the site at Blackburn Road. 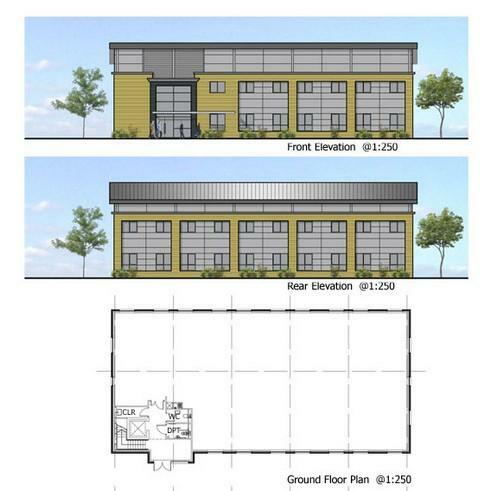 Approximately 91,000 sq ft of industrial units and 56,000 sq ft of speculative offices were planned for the first phase and taken up to Detailed Planning application stage.